*This limited offer runs to the end of or until capacity is reached (whichever comes first). 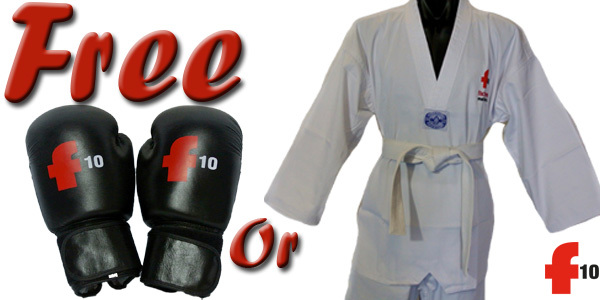 For people doing the Power Programs (F10 Fit) – rather than receiving the uniform you receive other training gear. The trial for F10 class includes a pair of Factor10 bag gloves . Enquire Now and Get Started!